I’m working on a short story for an anthology planned for January, because I don’t have enough to do. So far I’m having a lot of fun with it—unlike my book-length works, I didn’t outline this, so it veered off to strange places. Part of the fun for me is that I’m connecting the story to another literary effort of mine, at least a little. The big announcement for that will come out in my first newsletter, as soon as I get a few more subscribers. (You can subscribe at www.markrhunter.com.) If it hasn’t come out by the time of our author appearance on November 16th (at the library in Albion), you can just show up and pry it out of me—I’m a notorious blabbermouth in person. 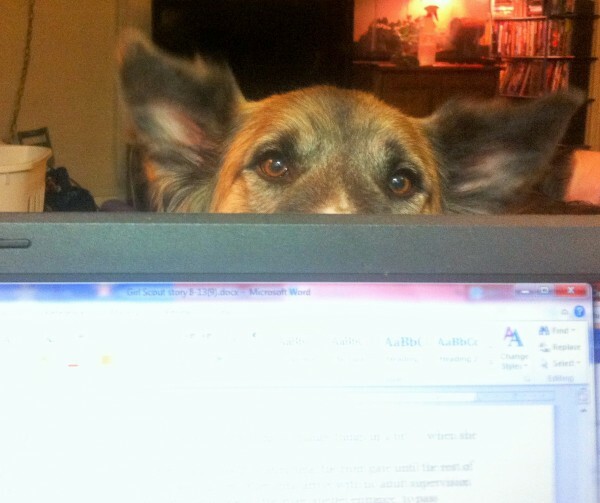 "I know you're writing, but ... what about me?"